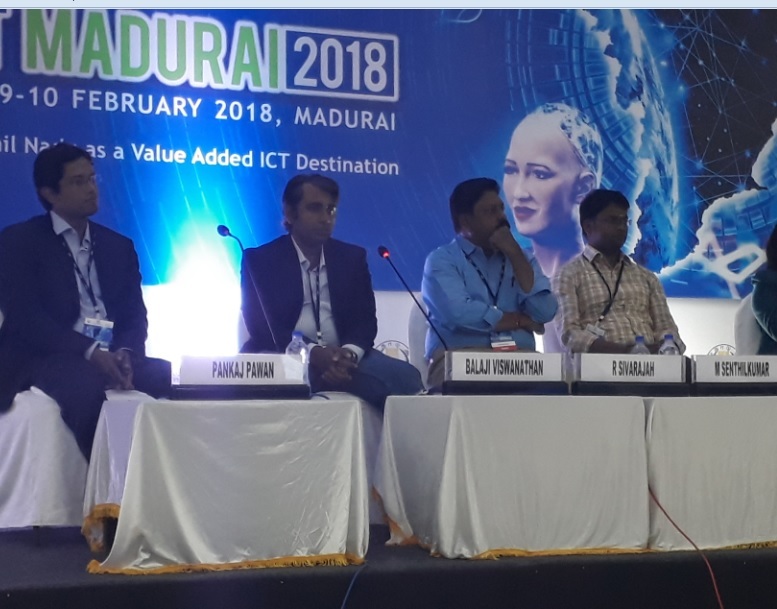 The Confederation of Indian Industry (CII) and ICT Task organized a two-day Connect MADURAI 2018 conference with four technology domains – Artificial Intelligence, Machine Learning, Internet of things and Electronic System Design and Manufacturing. The focal aspiration to organizing the conference is, to develop southern Tamil Nadu as a value-added ICT destination. The event was inaugurated by Dr. M Manikandan, Honorable Minister for IT, Government of Tamil Nadu. 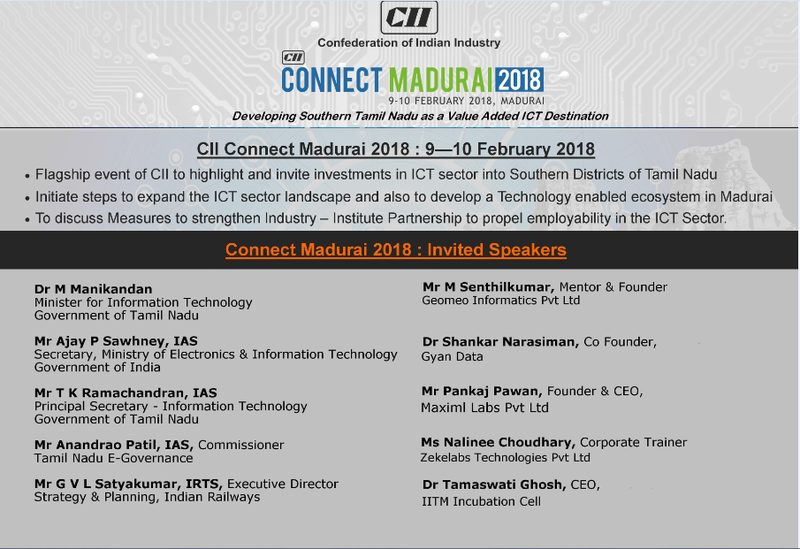 CII Connect Madurai 2018 is an ideal platform to know, learn and experience what, why and how of these new-age technologies and how Madurai will become the next innovation hub. Senthil Kumar M hailing from Madurai has a great passion for innovating through technology to solve real-life problems. He began his career as an engineer in – Samsung | Qualcomm, but he quit his job to found tech startup, GeoMeo Informatics in his native place, Madurai. His vision is to build technology-enabled self-sustaining communities. He believes that we can achieve this only by bridging the digital divide in the society and by empowering the powerless/vulnerable. In this conference, He addressed a speech which is extremely inspiring and motivational to the students. He gave the guidance for the student about how to get their dream job by building their resume in a unique way.